HEVIK is a motorcycle clothing brand that brings the Italian style in motorcycle and scooter clothing fiel. A wide range of safe, high tecnology and high impact look products. For those who love to travel safely but without sacrificing style. 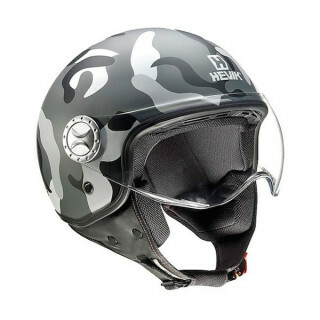 HEVIK is a motorcycle clothing brand that brings the Italian style in the motorcycle and scooter clothing field, with a wide range of products for the two weels lovers. Thanks to its team of specialists as a stylist and modellers, HEVIK has created a complete line that ranges from waterproof clothing, most advanced accessories, from underwear to denim clothing. Company strong points are the high technical component (innovative and practical materials) that marry perfectly with fashionable cuts and an high-impact look.